Government information and advice about the support available following flooding in the north west of England. This news item is not being updated. Read Winter flooding 2015: community support for current information. The recovery effort in Cumbria, Lancashire and other areas of the north affected by the floods in the last week continues and an overwhelming majority of homes and businesses have now had power and water restored, while the impact on road and rail is greatly reduced. However there remain communities facing significant long-term disruption as a result of the floods, which is why at yesterday’s meeting of COBR we worked to ensure every possible resource is available to the local teams working around the clock to help areas recover. This is on top of the Chancellor’s announcement of an additional £51 million to support households and businesses affected by last weekend’s devastating floods. Today the Floods Minister Rory Stewart is back in Cumbria visiting some of the most remote communities across the county, where he is meeting local people to ensure they have all they need. Over the next few days he hopes to meet representatives from every affected parish. 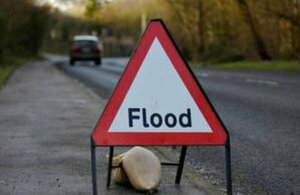 This weekend rain is forecast to continue over the north west and I urge residents to regularly check flood alerts. Rain and floods have led to many rivers and watercourses becoming filled with rocks and debris, which may result in highly localised, unusual reactions to rainfall, such as we saw in Glenridding on Wednesday evening. The Environment Agency is already assessing areas likely to be affected and is moving equipment into place to begin clearing affected rivers as quickly as possible. Our priority remains protecting lives and properties, so local people should continue to check the Environment Agency website and follow their advice on Twitter.